In every person is a story and a history. This is also the case with the two men who are the main characters in this book. They are the author’s father, born and bred in the Netherlands, and his father-in-law, from British origin. Both men passed away many years ago. They never met each other. The connection between them is, that both were in Germany at the end of the Second World War. His father was in forced labour, his father-in-law a Captain in the British Army. This story recounts their life history in the context of social, political and economic events. On Wednesday, May 2, Frank Dellar arrived in Wismar and he writes in capitals: MET THE RUSSIANS! Which was an adventure in itself for a variety of reasons. When Frank arrived, they took over a large German house to form a Brigade mess. All the way from Wesel to Wismar they had lived on what they found in fields or compo-packs (boxes of pre-packed food). All good food, but not very interesting, Frank says. They got some trestle tables, a few sheets to put on them to make it look a bit more comfortable, and the contents of the compo-packs served on plates they found in the house. All of a sudden there were sirens, motorcycles with red flags, and a Russian officer entered the mess. He said, through an interpreter, that General Konstantin Rokossovsky, commander of the 2nd Belarusian Front, wished to meet Montgomery, to decide the lines of demarcation between the British 2nd Army and his army. Frank and other senior officers prepared the mess. Soon after Montgomery had arrived, Rokossovsky entered the mess with a few soldiers who carried what looked like a coffin, which they put down in the room. When the coffin was opened, all they saw were numerous bottles of Vodka. One Russian officer took a large ceramic bowl from the window sill, threw the plant in it straight through a glass window, cleaned the bowl and emptied four bottles of Vodka. Rokossovsky ordered everybody: "Drink…" He took the bowl, brought it across, put it in Montgomery’s hands and said: "Drink…drink..." Montgomery did not like alcohol and had no intention to drink. Rokossovsky pushed the bowl up to Montgomery’s lips and then half of the contents went over Montgomery’s uniform, who took this with a grim smile on his face. How are characters of people shaped, what is the impact of social, political and economic events on how they develop. Which critical life decisions do they make and how do these decisions affect their lives? 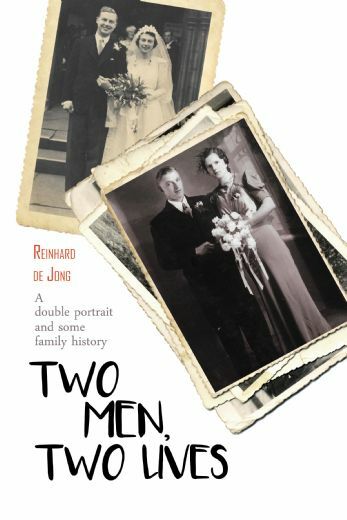 Reinhard de Jong (1950) took the time to explore the life histories of his father and his father-in-law. He looked into old archives, heard many anecdotes, obtained old documents, and collected photographs. All the information gathered culminated in a story about their lives, their ancestry, their careers, their leisure activities and their family lives.